I know a few things about fixing bikes.. I know how to change a tyre and brake pads. But to me bikes are a bit like maths, I learnt all I’ll ever functionally need to know in primary school, I don’t need algebra to live my day to day! However with the big cycle looming Liz convinced me we’d better get a bit of long division under our belts. 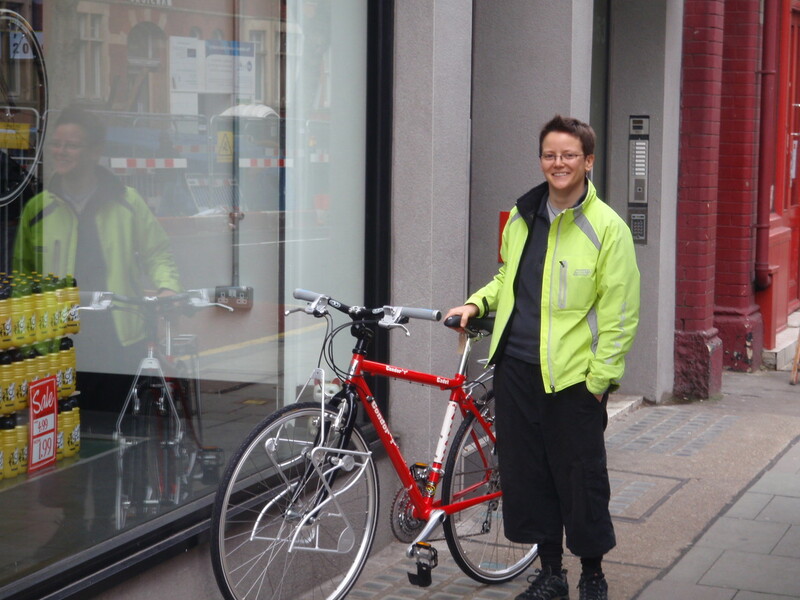 Liz had heard of the Southwark Cyclists course at On Your Bike in London Bridge – we knew the shop, we’d heard it was good, so off we went. Every Tuesday evening, for 4 weeks, we pitched up ready to tinker. There were 9 others on the course and 2 instructors (3 really but 2 on an evening by evening ratio). I know that some long distance cyclists are super bike whizzes and some neither know nor care how to change a tyre (there are plenty of bike shops in the big wide world!). 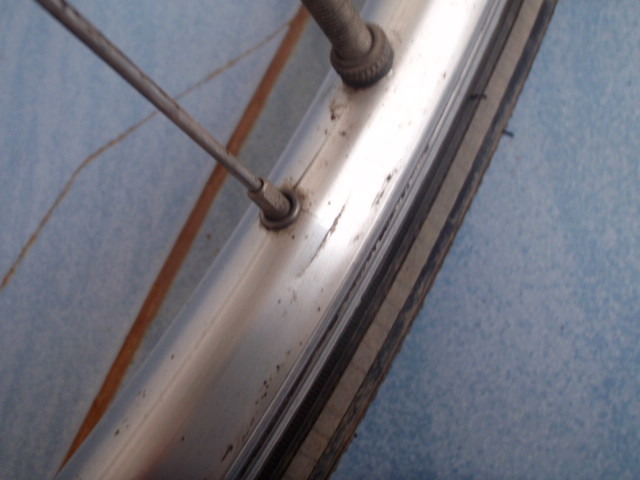 Thus, for us, the aim wasn’t to become bike mechanics but to gain a bit more confidence and loose a bit of the fear. We can’t fix everything ourselves because we can’t carry all the necessary tools. But the more you know the less likely it will be that you get diddled. 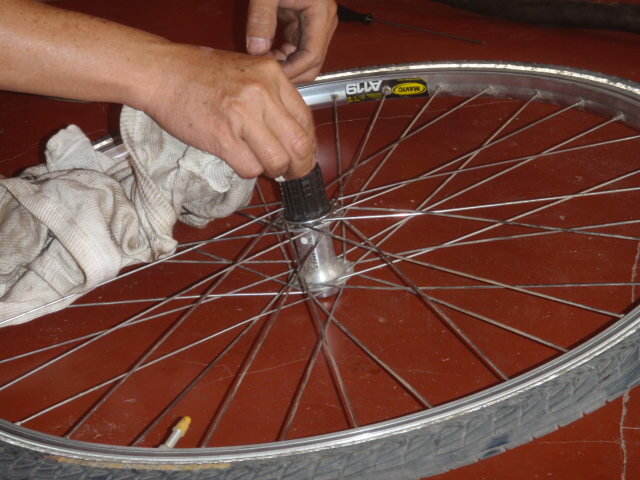 Cleaning the wheel rim, chain, and cassette cogs on a weekly basis are the keys to long kit life. If a spoke breaks, open the breaks and ride (if possible) to the nearest bike shop (KNOW WHERE THEY ARE ALONG THE ROUTE). Carry a spare spoke to give to the bike mechanic. Check for chain stretch every so often (max every 3000KM’s) – if you think things are loose then take it into a shop and ask them to measure it for you. If it’s getting too loose change the chain and expect some slippage for the first week or so. If it is really bad then change the chain and rear gear cassette. If you change the chain before it has gone over the edge you can extend the life of the rear gear cassette. It is important that you have used the tools you are planning to take with you – a multi-set may not be the most useful thing. When you have oiled the chain wipe the excess oil off the outside so that dust etc doesn’t stick to it. Tyres have a direction arrow! About 3 weeks ago I took the plunge and ordered a Condor touring bike! For a while now I’ve been mulling over whether to stick with my hybrid or go for broke and get a new ‘something else’. In the end I felt that my hybrid was not really up to the rigours of our trip and I was worrying about it being an aluminium frame. 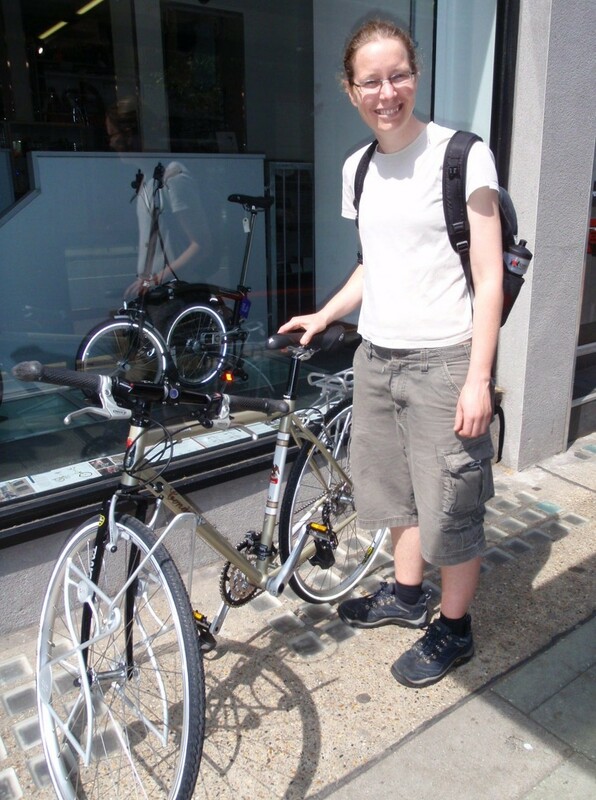 Though slightly heavier, steel frames are easier to fix on the road than aluminium ones. Basically if your aluminium frame goes you’re looking at having to get a whole new bike! Condor bikes are a popular touring choice as they are renowned for having really super components, being built to fit and generally looking really snappy (well mine does anyway!). I caught the tail end of the January sales and managed to get a cut price frame. After a rigorous 2 hour fitting and much handle bar mass debating I put in the order. It feels a bit odd not having seen the bike before committing to it but … fingers crossed. Today I picked her up! She is a RED bike! Shinny shinny red bike! – if you want a component break down here it is….. RED! 🙂 – will post better info bits later. Kit – to laptop or not to laptop! Wheel, we’ve started to scout out bikes, bags, saddles, med kits etc etc etc (more about all that later) but one of our biggest quandaries is what electrical kit to take. We have been looking at the little Flip’s that are light (every gram saved will be a blessing in the Himalayas!) 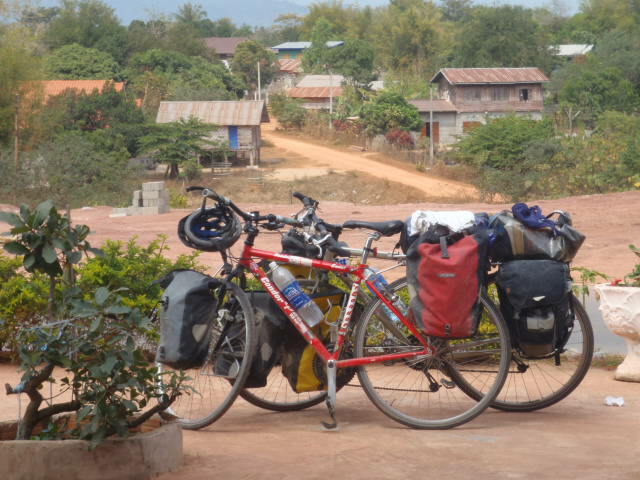 and small (we are aiming for only two back panniers and a handle bar bag each…. possible?? ), but it can’t focus and only stores about an hours worth of footage. So now we are looking at hard storage digital cameras – we have seen some that are pretty mini ones that store quite a lot of good quality footage (maybe the Samsung C10 SD camcorder for example) – swell! …. Now all we have to do is slush our way through a PC soup of info to make the actual final choice! The next big decision is to lap top it or not. If we have a PC we can blog more easily (or prep for the blog while we are off web radar) and thus be able to save money and time whenever we reach an internet cafe, we can also use it to edit our VOICES footage. 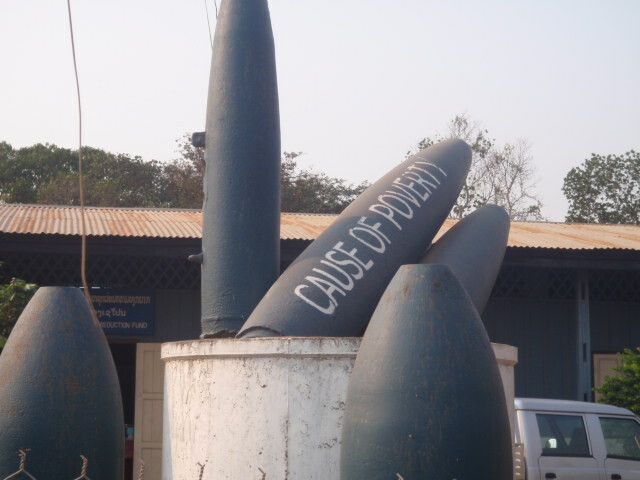 But on the other hand it is extra weight, and something extra to lose or get stolen and we could probably manage by using just the internet cafes. …. .. Maybe if we found something small enough that was still usable (e.g. – big enough hard drive etc) AND under 1kg if possible. It’s all too easy to be seduced into forgetting that all those little gram shavings really will add up when being trailed over 10,000 KM and up some stormingly massive hills.